The veteran actor, who passed away in 2008, would have been 100 if he were alive today. The man who personified villainy on the silver screen, MN Nambiar, who passed away in 2008, would have been 100 if he were alive today. The veteran of over a thousand films, most of them in Tamil though his mother tongue like his good friend and illustrious contemporary MG Ramachandran was Malayalam, spent over seven decades donning the greasepaint, proving his versatility time and again. Nambiar rose from humble beginnings and earned his first salary, a princely Rs 3, for his stage appearance in Nawab Rajamanickam Pillai’s Boys Company. He picked up his first lessons in acting from his theatre gurus before debuting in films as a comedian in Bhaktha Ramadoss in 1935. No one could have visualised then that this shy, slim, self-effacing lad would scorch the screen as a fearsome villain in the days to come. Nambiar’s claim to fame came with a film produced by Modern Theatres, Digambara Samiyar, in which he was cast in as many as 11 roles. Nambiar too founded his own theatre group, Nambiar Nataka Mandram, and directed and acted in plays like Kaviyin Kanavu and a breezy comedy, Kalyana Supermarket. Ironic as it might seem, Nambiar first earned recognition as a comedian in films like Vidyapathi. His co-stars said that the ace villain had a ready wit and would keep them in splits during shooting breaks. No less a person than Manorama, the peerless Kollywood comedienne, has testified to this fact. Nambiar’s growth as a villain was steady and sustained, and he became an automatic choice for films starring the two major heroes of the time, MGR and Sivaji. He shared a close rapport with both of them off-screen; in fact, MGR served as the best man for Nambiar’s wedding. Countless are the number of films where he played the antagonist opposite MGR, with many of them like Nadodi Mannan, Manthiri Kumari, Aayirathil Oruvan, Anbe Vaa, Enga Veettu Pillai and Kudiyiruntha Kovil turning out to be blockbusters. In the film Pallandu Vazhga, a remake of V Shantharam’s Do Aankhen Barah Haath, Nambiar had almost all the industry’s villains for company but MGR assigned the principal role to him, considering his seniority. 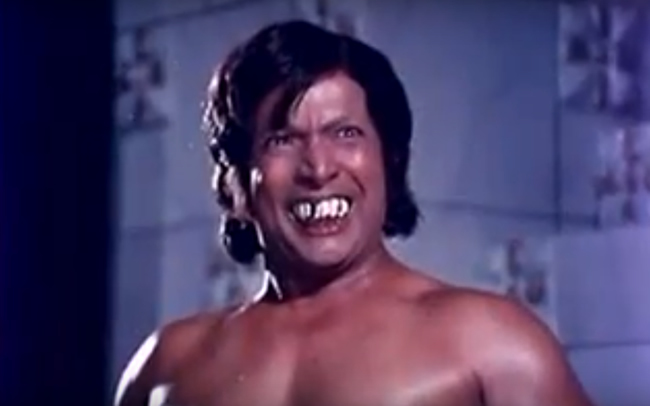 In MGR’s Ulagam Suttrum Valiban too, he had a meaty role of a muscular wrestler with a fearsome bucktooth. With both MGR and Nambiar well-versed in the art of fencing, their fight scenes never failed to entertain the audiences. Directors of the time ensured that any film with MGR-Nambiar had an adequate quota of stunt sequences. The Sivaji-Nambiar combination was again an outstanding success right from the black and white days with the Bhimsingh directed Pasamalar and Bhagapirivanai, and Sridhar’s Uthamaputhiran and Sivantha Manithan hitting the bull’s eye at the box office. Nambiar also impressed with his portrayal of a maharaja in AP Nagarajan’s Thillana Mohanambal, which boasted a whole galaxy of stars. He excelled as the debauched king who pines for a Bharatanatyam dancer, played by Padmini, and finally turns a new leaf after she gives him an earful. Another actor with whom Nambiar worked in several successful films was Gemini Ganesan. Missiamma was one of their successful ventures. In Sridhar’s Nenjam Marappathillai, he shared the screen with Kannada actor Kalyan Kumar who had made his mark with Sridhar’s Nenjil Or Aalayam. Nambiar also worked in films with heroes like Muthuraman, Jaishankar and Ravichandran. Kamal Haasan’s Guru and Rajinikanth’s Ejamaan and Baba too featured Nambiar in pivotal roles. Kollywood has never had a dearth of comedians and also boasts of a number of A-lister villains as well. MR Radha, whom Nambiar admired for his versatility, headed the list comprising such accomplished stars as TS Baliah, PS Veerappa, SA Ashokan, SV Ramadoss and others. But to Nambiar’s credit, he was always one notch above all of them and the industry always accorded him his due. With he grew older, the villain turned to character roles and filmmakers like Bhagayaraj utilised his talent in films like Thooral Ninnu Pochu, where he played a tough village headman. Shankar’s debut film Gentleman too had Nambiar in a significant character role. In the hit comedy film Winner, he essayed the role of the hero Prashant’s grandfather with another old timer MN Rajam playing his wife. Rojavanam was another film where Nambiar’s character was well fleshed out. 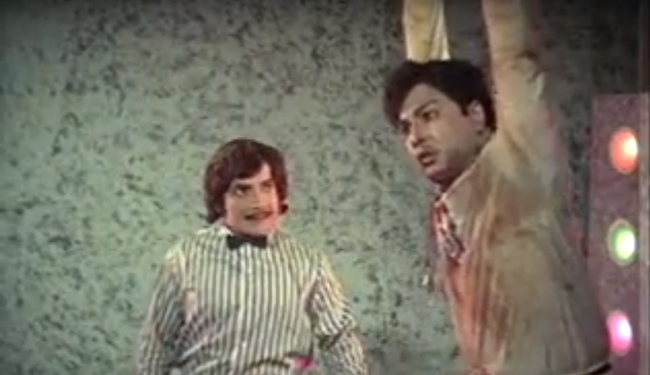 Nambiar’s swansong was Sudesi, in which Vijayakant was cast as the hero. A lone English film, Jungle (1952), and a handful of Malayalam films including Thadavara and Kolilakkam also formed part of the actor’s filmography. Nambiar also worked on the small screen in serials like Oviyam, Velan and Alaigal. It has to be mentioned, however, that in several of his films his roles required him to be excessively brutal and wicked. His body language and facial contortions with the eyeballs almost popping out of their sockets even bordered on the grotesque. Directors of his films at times egged him on to add more aggression to his characters and the results were not always pleasant. In real life, the onscreen sadistic, Machiavellian villain did not have a single mean bone in his body. His pious and amiable nature endeared him to his industry contemporaries and also to his legion of fans. A lifelong devotee of Ayyappa, Nambiar reportedly visited the shrine at Sabarimala no less than 65 times and was reverentially referred to as Mahaguruswamy. Nambiar was a fitness freak, a vegetarian and a teetotaller who never missed his workouts or his early morning walks on Marina Beach in Chennai. CV Aravind is an ex-banker who has been dabbling in journalism for over four and a half decades now. He writes extensively on films and also contributes articles to newspapers and periodicals on a host of subjects. Views expressed are the author’s own.